THe Mohawk Trail is a scenic route across Massachusetts along Rte 2, a pleasant alternative to the Ma$$ Turnpike. It was once known as the "Shunpike!" 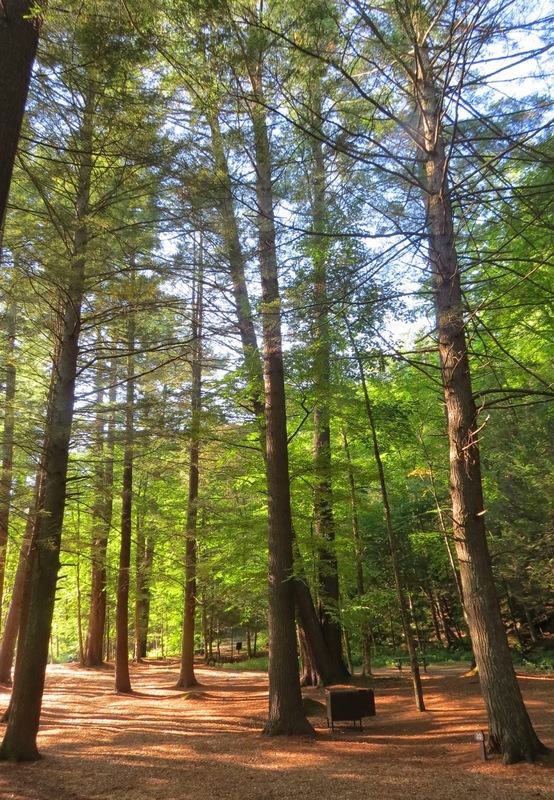 I stayed 3 nights at Mohawk Trail State Forest campground to do some hiking and touring in the area. First a hike to Indian Lookout. This was not a hike for the faint of heart, although it started out innocently. without benefit of gentle switchbacks. We had to scramble up over large rocks…giant steps. I haven't hiked like this in over a month. We made it, but we'll pay for it tomorrow. The view here will be gorgeous in a few more weeks when fall colors are at their flaming peak. Thistle and I shared an apple and some water. The rest of our walks were in the campground. This loop is a "car-free" loop to protect the great white pines. One couple is camping there…came on bikes. These two trees are growing from a single trunk at the base. The roots of these trees are growing UP over the bank. White pine grove and tent campground. The next day, as our legs were hurting, we took a drive. 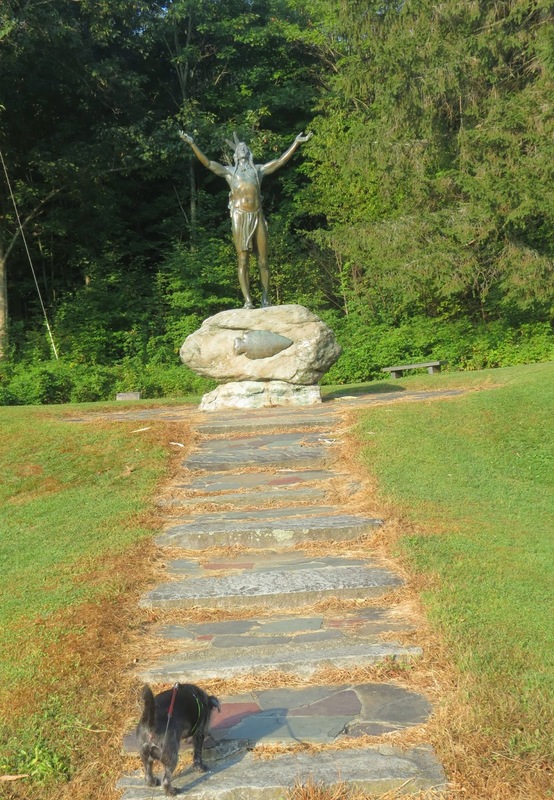 This monument honors the many Native American tribes. The statue is called, "Hail to the Sunrise." Plaques represent the various Native tribes. We took a back road through the forest and came across a nice kayaking pond. Approaching the other end I could hear rushing water…like a waterfall. Huge boulders left here during the glacial age. Looks like a really nice place for camping and walking.